« Oracle on Opteron with Linux-The NUMA Angle (Part IV). Some More About the Silly Little Benchmark. This blog entry is part five in a series. Please visit here for links to the previous installments. The AMD Opteron implementation is called Sufficiently Uniform Memory Organization (SUMO) and is also a NUMA architecture. In the case of the Opteron, each processor has its own “local” memory with low latency. Every CPU can also access the memory of any other CPU in the system but at longer latency. Whether it is SUMA or SUMO, the concept is cool, but a bit foreign to me given my NUMA background. The NUMA systems I worked on in the 90s consisted of distinct, separate small systems—each with their own memory and I/O cards, power supplies and so on. They were coupled into a single shared memory image with specialized hardware inserted into the system bus of each little system. These cards were linked together and the whole package was a cache coherent SMP (ccNUMA). Is SUMA Recommended For Oracle? I found this to be strange, but I don’t yet fully understand why that recommendation is made. Why did they perform this validation with SUMA? When running a 4-socket Opteron system in SUMA mode, only 25% of all memory accesses will be to local memory. When I say all, I mean all—both user and kernel mode. The Linux 2.6 kernel is NUMA-aware so is seems like a waste to transform a NUMA system into a SUMA system? How can boiling down a NUMA system with interleaving (SUMA) possibly be optimal for Oracle? I will blog about this more as this series continues. Is the x86_64 Linux Oracle Port NUMA Aware? No, sorry, it is not. I might as well just come out and say it. The NUMA API for Linux is very rudimentary compared to the boutique features in legacy NUMA systems like Sequent DYNIX/ptx and SGI IRIX, but it does support memory and process placement. I’ll blog later about this things it is missing that a NUMA aware Oracle port would require. This NUMA stuff must just be a farce then, right? Let’s dig in. First, I’ll use the SLB (http://oaktable.net/getFile/148). Later I’ll move on to what fellow OakTable Network member Anjo Kolk and I refer to as the Jonathan Lewis Oracle Computing Index. The JL Oracle Computing Index is yet another microbenchmark that is very easy to run and compare memory throughput from one server to another using an Oracle workload. I’ll use this next to blog about NUMA effects/affects on a running instance of Oracle. After that I’ll move on to more robust Oracle OLTP and DSS workloads. But first, more SLB. First, let’s use the numactl(8) command to see what this DL585 looks like. Is it NUMA or SUMA? SUMA baselines at 71.5ns average write operation and tops out at about 156ns with 8 concurrent threads of SLB execution (one per core). Let’s see what SLB on NUMA does. This test is the same as the one above called “4 threads, 4 sockets” performed on the SOMA configuration where the latencies were 78ns. Switching from SOMA to NUMA and executing with NUMA placement brought the latencies down 13% to an average of 68ns. Interesting. Moreover, this test with 4 concurrent memhammer processes actually demonstrates better latencies than the single process average on SUMA which was 72ns. That comparison alone is quite interesting because it makes the point quite clear that SUMA in a 4-socket system is a 75% remote memory configuration—even for a single process like memhammer. What’s that? Writing memory on the SUMA configuration in the 8 concurrent memhammer case demonstrated latencies on order of 156ns but dropped 38% to 97ns by switching to NUMA and using the Linux 2.6 NUMA API. No, of course an Oracle workload is not all random writes, but a system has to be able to handle the difficult aspects of a workload in order to offer good throughput. I won’t ask the rhetorical question of why Oracle is not NUMA aware in the x86_64 Linux ports until my next blog entry where the measurements will not be based on the SLB, but a real Oracle instance instead. Hold it. Didn’t the Dell PS1900 with a Clovertown Xeon quad-core E5320’s exhibit ~500ns latencies with only 4 concurrent threads of SLB execution (1 per core)? That was what was shown in this blog entry. Interesting. I hope it is becoming clear why NUMA awareness is interesting. NUMA systems offer a great deal of potential incremental bandwidth when local memory is preferred over remote memory. Next up—comparisons of SUMA versus NUMA with the Jonathan Lewis Computing Index and why all is not lost just because the 10gR2 x86_64 Linux port is not NUMA aware. Interesting stuff Kevin. 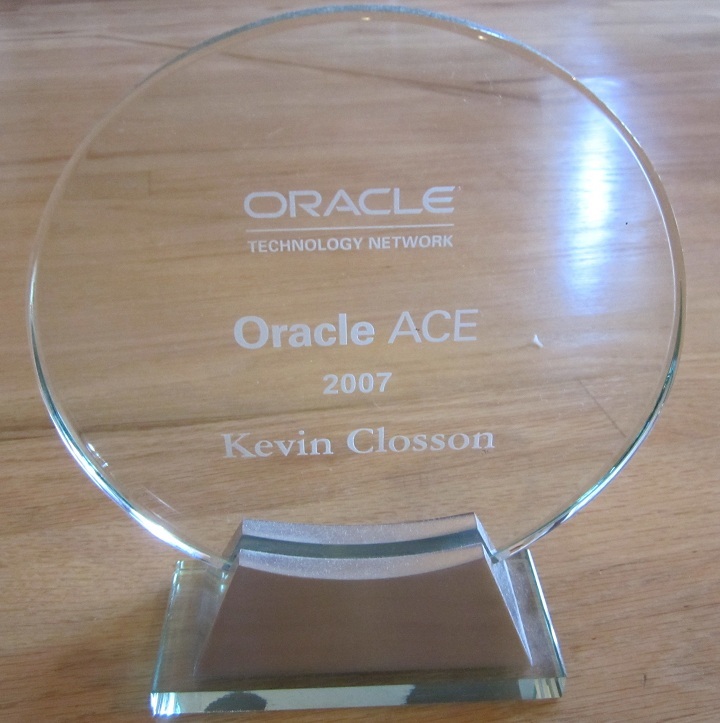 I’m looking forward for the next part with Oracle specifics. If we take your 32 GB machine and run Oracle with 20 GB SGA and 10 GB PGA that memory and processes working with that should be socket partitioned to take advantage of local memory. Right? I can imagine that it’s possible with PGA in some way (even though can lead to non-even CPU load distribution) but partitioning SGA by sockets – this is something I don’t get. Perhaps, I’m all too confused with that. There’s a Solaris bug reported in 2005 http://sunsolve.sun.com/search/document.do?assetkey=1-26-101757-1 that has to do with Oracle’s interaction with the NUMA libs (liblgrp), basically causing Oracle to core dump. Have also seen this reported on Metalink. So it should be safe to assume that Oracle uses the NUMA libraries on Solaris for something. It’s not linked against at compile time on Solaris (this also looks the same on the amd64 ports). The notes would’ve been put together at the time of 10gR1 and this is 10gR2, so unless NUMA support has been accidentally dropped … not aware of anything special that needs to be done to “get” NUMA either. where 1 and 2 are the sockets, (1,1) is local access etc..
btw, haven’t been able to get memhammer to report anywhere near these numbers, getting ~200 (using psrset to bind to a cpu and -xarch=amd64 as noted earlier). Anyone have the matrix for a fully populated X4600 M2? If you are on an E25K or E6900 class machine, Oracle will enable NUMA optimizations by default. Unless you override the 10g defaults, you will see a DBWR process for each “lgroup” or “board” in the system. DBWR processes are kept local so that they can manage and clean local LRU lists. This can really help cut remote access and improve overall performance. I am sure Kevin will go into detail about this and block access since he was at “Ground Zero” for NUMA with databases “Sequent”. I have a basic question for u on suma. if i enable suma (i.e node interleaving enabled in BIOS), should i have 1 node or more than one node? as i understood from hp doc that suma differs with numa only in linear and non-linear memory allocation for nodes. it shouldn’t have differed in number of nodes on the system. when i enable numa (numa=on or none option to grub conf file) it has 2 nodes (since there are 2 cpu’s), i was hoping same number of nodes even during suma. but it has only one node, why so? when i enable suma (ie. memory interleaving on in BIOS) i see only one node (even whatever u have shown above). why not more than one node? Thanks for a very nice blog! I’m currently doing some performance tests on a HP DL385 with 2pcs 2220 opterons, 16 GB ram and RHEL5.2 x64 and Oracle 10.2.0.4 x64 Enterprise Edition. I discovered while researching why I cannot use more than 6820 sessions (tips about this is welcome) that Oracle tries to find /usr/lib64/libnuma.so but fails. I copied /usr/lib64/libnuma.so.1 to /usr/lib64/libnuma.so and it loads it happily. I found this using ‘strace’. Is this proof enough that Oracle 10.2.0.4 is using numa? Or how can I see if it is actually running in numa mode? Take care and keep up the good job!